Your vehicle should keep you attuned to your surroundings. 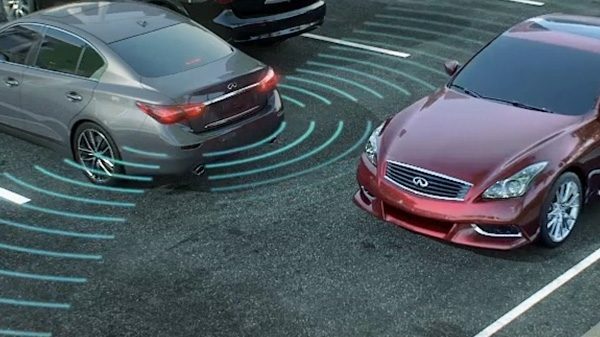 Extend your vision with Backup Collision Intervention[], an INFINITI Safety Shield® system designed to heighten your awareness as you reverse. It senses what might sit beyond your line of sight, bringing potential risks to your attention and applying the brakes if impact is imminent. 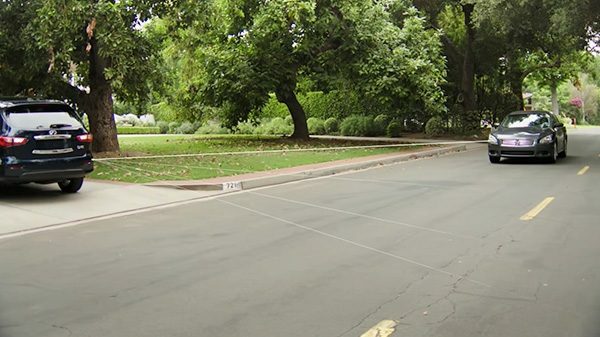 This pioneering technology detects crossing traffic as well as large stationary objects. When the system senses an approaching vehicle, you receive an audible alert and see a flashing light indicating its direction. 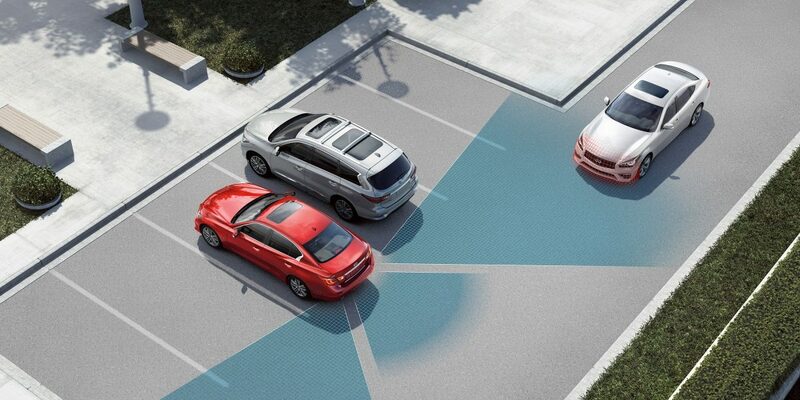 As the oncoming vehicle gets closer, you hear and see an additional alert, so you can react in an instant. If a risk is detected while you’re reversing, the system counteracts by pushing back on the accelerator. If you continue to back up, the brakes will engage momentarily, giving you more time to take action.